What Exactly is the Popular British Dish of Kedgeree? What Exactly is the Popular Breakfast Dish of Kedgeree? Kedgeree is such a wonderful word, it gives nothing away of its meaning, but if you do know what it means, it conjures up the delicious breakfast dish so loved in Britain. 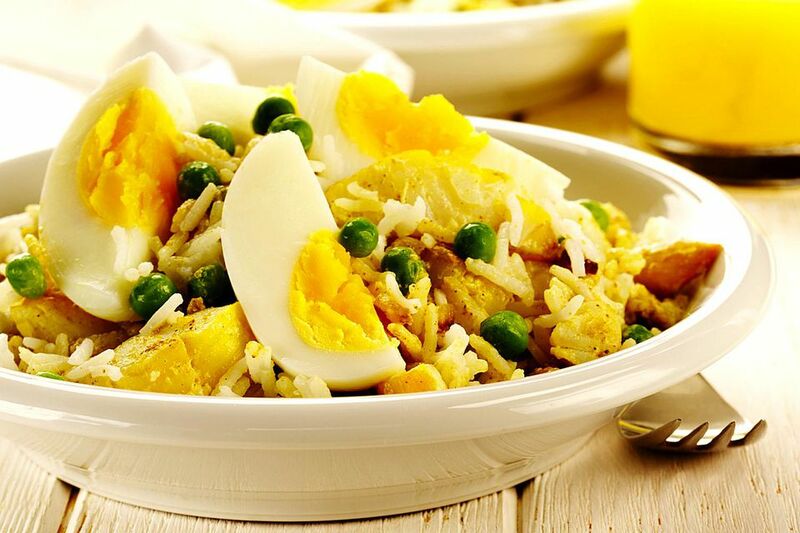 It is an unusual dish for breakfast as it consists of curried rice, smoked fish, boiled eggs, parsley and lemon juice. Not the usual British breakfast. Though, it is the origins of the dish which gives meaning to it as it is steeped in British and Indian history. The British unable to simply leave a dish alone, added the fish part to give the dish a protein element and as fish is a popular breakfast dish (Kippers) suited the British palette. In the UK the fish used is smoked haddock, in India this was not possible and any fish used would have been fresh and because of the searing heat was eaten at breakfast as any later in the day most likely would have gone off. Given the bringing together cooked rice, eggs and fish, this dish could (in the wrong hands) be heavy, lumpy and stodgy - not a great start to any day. In the right hands though it can be a light and extremely flavorsome dish. Cook the rice in advance and make sure it is dry. Use fresh free range eggs, fresh parsley and chop only when needed and most certainly never use dried. Make sure the fish you use is as fresh as possible (even though it is smoked it can still deteriorate quickly and lose its liveliness). Assemble all your ingredients ready to go and cook at the last minute, Kedgeree kept warm soon loses its vigor. Yes, that is the origin of the dish but it is a hearty dish and makes a wonderful brunch dish, and seriously, can also be eaten for lunch or dinner. Kedgeree is a traditional British breakfast dish made from curried rice, smoked fish, boiled eggs, parsley and lemon juice.